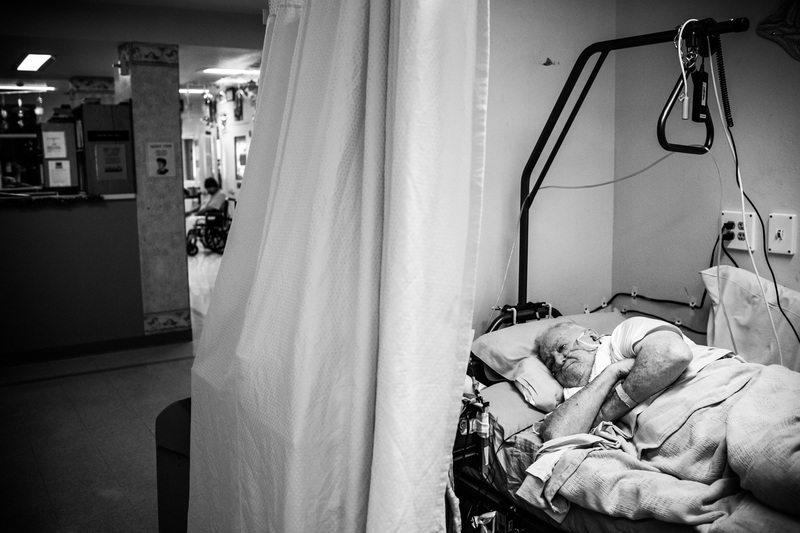 Jim Robelen, age 76, a hospice care patient diagnosed with terminal pulminary fibrosis, watches television in the morning in the hospice care wing of California Medical Facility (CMF) on December 17, 2013 in Vacaville, California. Robelen has been in prison since 1994 after being convicted of murder; he has been at CMF since 2011, and in the hospice care wing since October of 2013. He spoke glowingly of the doctors and the chaplain of the CMF hospice care.